Beneath - Cloudy. Vinyl 12. Bleep. 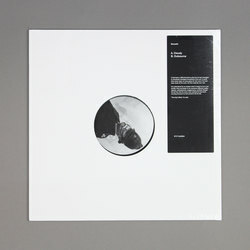 Beneath continues to blaze his own trail through the cybernetic urban jungle that is the post-dubstep 'n' grime/wot-u-call-it electronic (London) overground aka quite a mouthful but a killer slab that we’d highly recommend taking a bite out of.